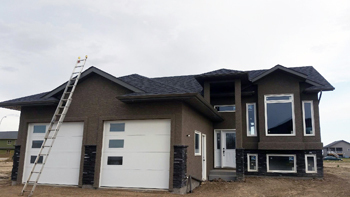 Hamm Eavestroughing offers a range of services for residential projects in and around Saskatoon that require the expertise of a professional team. 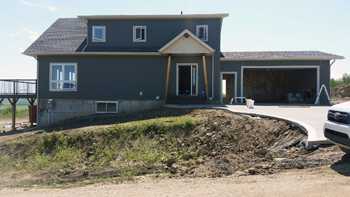 We are available for a variety of exterior construction, repairs, and remodels. Our workmanship is unmatched; we will deliver exactly what you need for your home to look and be its best. Be sure to give us a call for your free estimate today! Eavestroughing is our main specialty. We offer prefinished seamless steel eavestroughs that hold up even in the toughest of conditions. Since this product features a seamless design, leaks and other faults are less likely to occur that will ultimately add longevity to the use of your gutters. 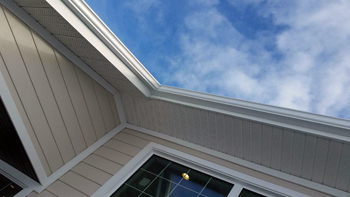 The soffit and fascia are two crucial structures of your roofing system that protect your inside living environment. Soffit is exposed and located right underneath the overhang of a roof. It ventilates the attic, providing efficient air circulation for dryness that combats damaging moisture. Fascia is a finished edge that is connected to rafters and the area where gutters are attached to the roof. This protects the wood and other structures of your home from weathering conditions. John Hamm and his team has experience with other exterior work to build or repair structures for aesthetic and functional purposes. This includes decks, fences, gazebos, siding, roofing, and more.